​ or on a wall. Suitable for outside. 30 cm in diameter. All these plaques are suitable for outside. the same size and price. and was always fascinated by it. 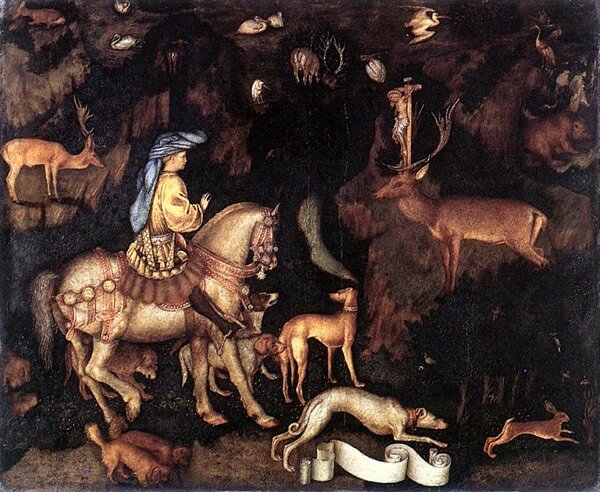 It was inspired by Pisanello's painting of St Eustace which can be seen in the National Gallery. at Nettlestead Manor, Kent, on the right in Knole's Orangery. This is based partly on Kinsley's "The Little Sweep" and partly on Benjamin Britten's "Let's Make an Opera". He and the librettist Eric Crozier named the characters in the opera after me and my siblings and cousins. Both are mounted on balls which have long bolts which can be sunk into posts or walls. I kept a couple of frogs for a few weeks in an aquarium and found them fascinating and understood why they turned into princes when they were kissed by a princess. Sadly I hardly ever see one now. These were released into their safe habitat.